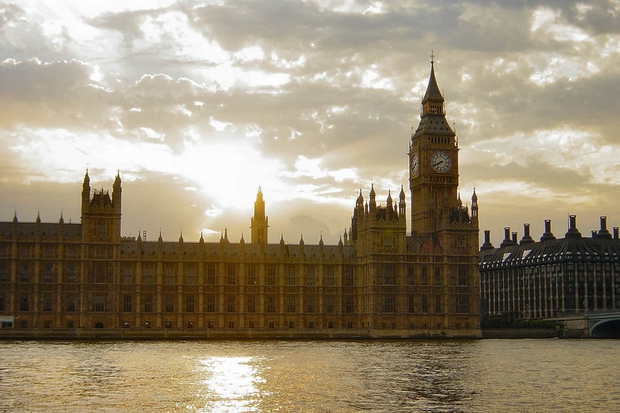 For his new documentary series “Inside the Commons”, journalist Michael Cockerell was granted unprecedented, unrestricted access to film day-to-day activity in the House of Commons. Here’s what he saw. The House of Commons in London’s Westminster is the cockpit of Britain’s democracy and this year is the 850th anniversary of its creation. The Commons has sentenced a king to death, witnessed the assignation of a prime minister and declared wars across the globe. With its famous clock tower that houses Big Ben, what’s often called the mother of Parliaments is a probably the most iconic architectural image in the world. But very few people know what MPs really do inside the Commons. Once you enter, you see stern signs everywhere saying photography is strictly forbidden. And the Commons authorities have always resolutely set their face against allowing documentary cameras inside to film what happens behind the familiar facade. Until now, that is. Two years ago for the first time—and five years after I had initially approached them—the Parliament’s top people relented. They gave me permission to film an observational four-part documentary series now being screening on BBC World News about the Commons and the people who work there—with unrestricted access to all areas. The stars of the show are the MPs themselves, from the Prime Minister downwards, along with the hidden armies of parliamentary officials, legal experts who still wear 18th century clothes, skilled craftsmen and other manual workers. They share top billing with the Palace of Westminster itself, a weird and wonderful building that was rebuilt at the height of Britain’s imperial power after it had burnt down in 1834. The one part of the Commons where cameras have been allowed since 1989 is the Chamber. But the cameras are under the control of the Commons authorities and coverage of debates is strictly controlled. No one has until now been allowed to film on the floor of the House with no restrictions. We were able to see the whites of the eyes of MPs as they debated, rather than the tops of the heads that the fixed unmanned official cameras capture. And we filmed leaking roofs and buckets to catch the drips. We saw paintwork peeling, plaster and stonework crumbling. And Big Ben itself is starting to lean. The place costs a fortune to maintain, and it’s estimated that the bill to repair and renew will cost some three billion pounds. Michael Cockerall is a BBC journalist and prolific documentary film maker. His work focuses on British politics and includes profiles of prominent politicians and behind-the-scenes explorations of their working lives.